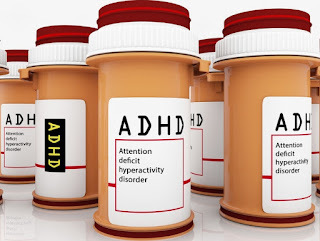 About 2.5% of adults and 5% of children are affected by ADHD (attention deficit hyperactive disorder). The disorder can cause a lack of attention, hyperactivity, disorganization, and much more, making it seem like a behavioral problem in many cases. However, scientists have discovered specific genetic variants that have been shown to link to ADHD, which could change the way many people view the disorder. These variants can account for an increase in the risk of ADHD. Although scientists knew ADHD was heritable, it was always difficult to find these genetic variants. A study scanned 55,000 individual's genomes, in order to do research on the topic and found that there were 12 regions in the genome where some changes could increase the risk of having ADHD. These findings do not account for much of the "genetic risk," says Professor Anders Borglum, but represent the "tip of the iceberg" and can lead to many more discoveries in the future. This could lead to finding out more about the biological elements of the disorder, and can help in finding new drugs to treat the condition. This in turn could help those who are just seen with "behavioral problems" be more understood and not as stigmatized. I believe that some disorders or diseases are based mainly on Genetic makeup, yes outside factors do play a role but they're are some that are predisposed to these diseases. Instead of treating these disorders through drugs that cause side affects or over medicate some people, if we can identify the genes that cause these things we can try to remove the need for medication as well. I think it's interesting that they may be able to find better treatment for ADHD. I know people that have this problem, and it would make them more understood and less judged if these scientists could prove more about the biological elements of the disorder. I think this is an important topic to be researched! My brother was diagnosed the ADHD at the age of three. Even though he was very young when he was diagnosed, he showed many of the signs more and more as he got older. He has been on many medications and has been a part of special school programs. I hope that they can develop more knowledge and medication for people who have ADHD because I believe many people are wrongfully diagnosed or not given the best medication.